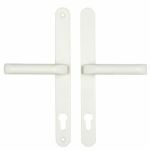 Upvc door handles with 92mm centres are the most popular variation of upvc door handles. In this section we have upvc door handles from the worlds top manufacturers such as Hoppe, Fab & Fix, ERA and Yale to name a few. 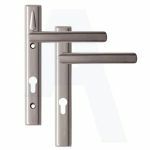 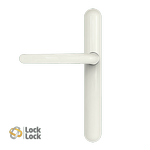 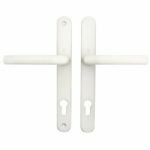 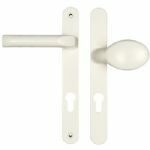 With all types of upvc door handles from Lever / Lever, Lever / Moveable Pad and Lever / Fixed Pad and all available in a wide selection of colours we have the best range of 92mm centre upvc door handles on the market. 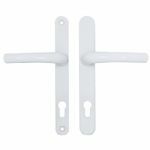 Simple and sleek, this high quality, modern design door handle is perfect for any UPVC door. 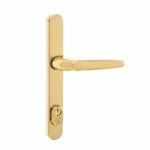 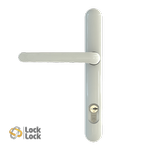 Mila Hero Lever / Lever Door Handle 92mm PZ - Available in White, Black, Double Chrome, PVD Gold & Smooth Satin. 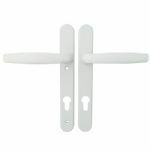 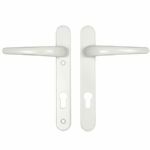 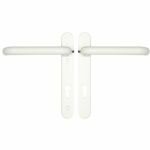 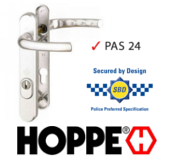 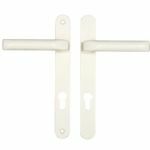 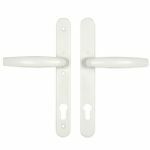 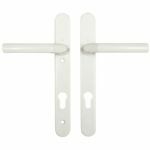 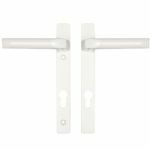 Hoppe Atlanta 92mm PZ Upvc Door Handle - Lever Movable Pad - Available in White, Gold, Chrome & Silver.